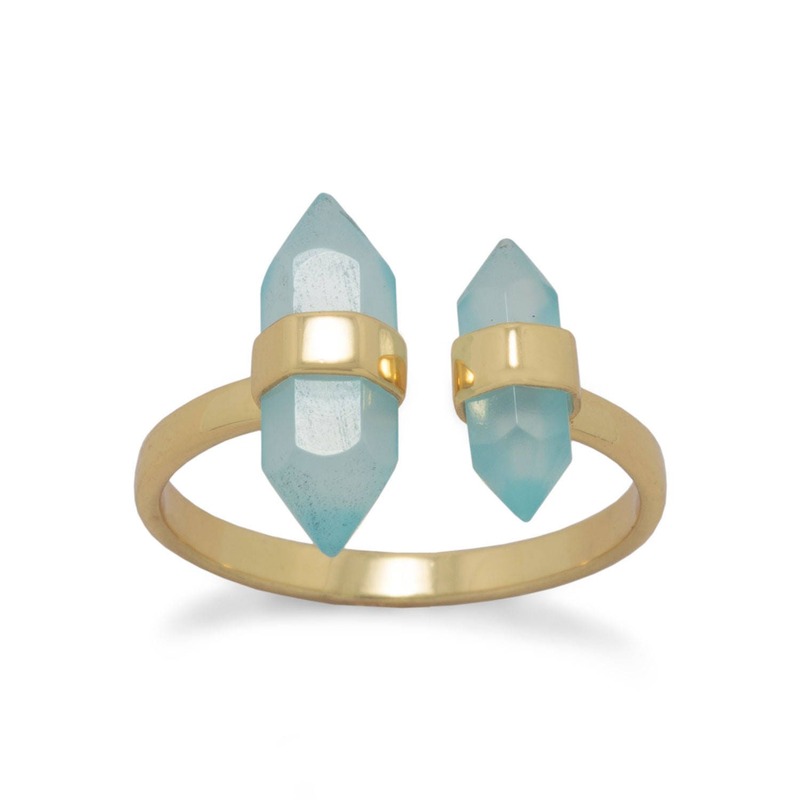 14 karat gold plated sterling silver split ring with 2 aqua chalcedony stones on opposite sides measuring 3.5mm x 11mm and 4mm x 14mm. The band measures approximately 2.2mm. 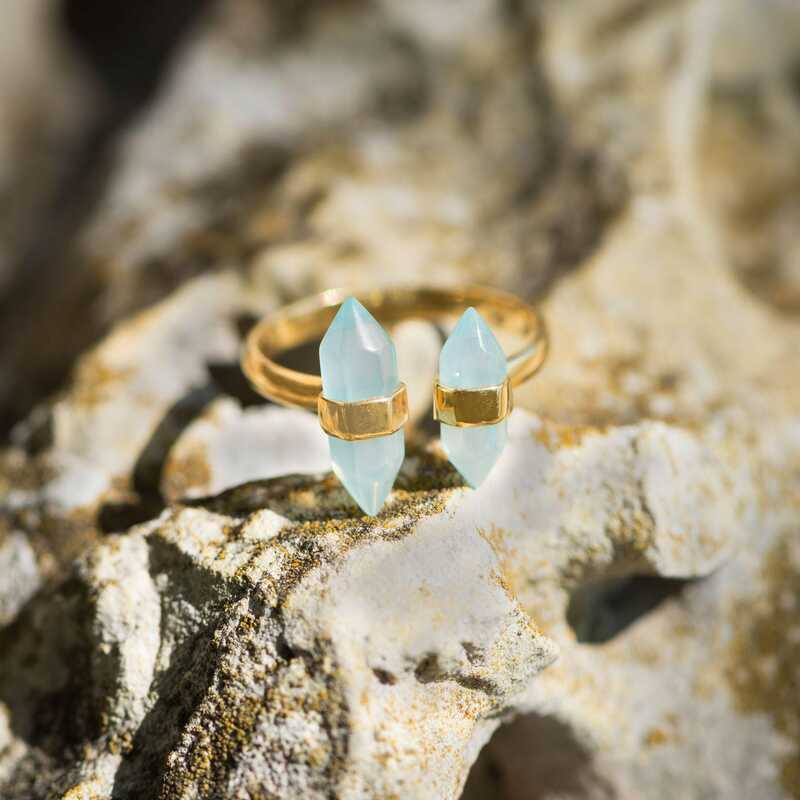 This ring is available in whole sizes 5-9 with each size being slightly adjustable.